Founded in 2015, Craftsman Clothing was established in a bid to offer well-made and affordable leather-based outerwear that’s inspired by classical styles. Richard Biedul wearing the McQueen A-2 Bomber jacket. Styled by Jo Grzeszczuk, photographed by Olivier Barjolle. We can say with some confidence that in the last few years we’ve garnered a loyal following on social media, particularly on Instagram. Each day we’re tagged in countless posts which, more often than not, are irrelevant and questionable. But, every now and then, a personality or brand grabs our attention for all the right reasons. One such brand is Craftsman Clothing, which is the latest addition to The Rake Atelier. 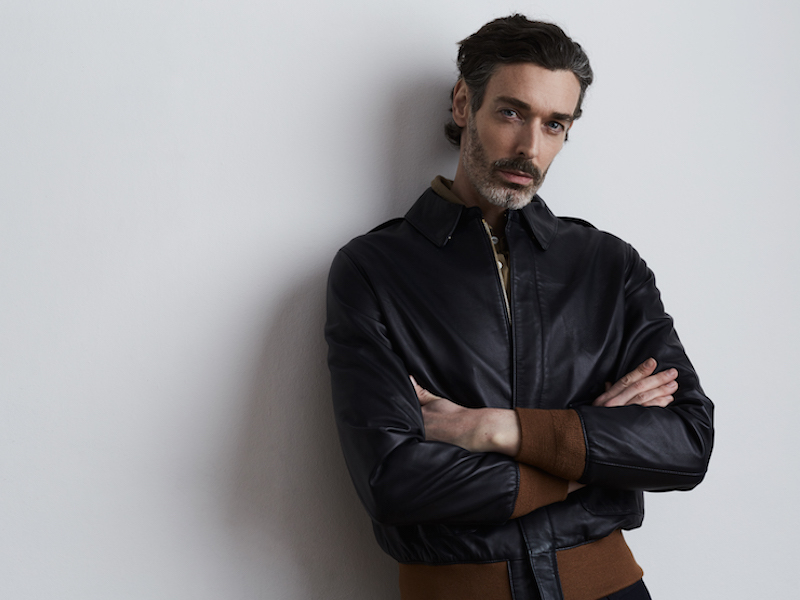 Founded in 2015 in Hong Kong by two young men who came together through a shared passion for menswear via an online forum, Craftsman Clothing specialises in leather-based sartorial outerwear. “Craftsman Clothing was started from an idea I had in college,” explains co-founder Tobe Fong. “In California, we had the luxury of wearing leather jackets year round, but the budget I had of being a student was limited. In a world where fast fashion dominates, it may be easy to find stylish leather jackets yet the quality is always far from sublime. Going for quality ones from designer brands would mean costing a fortune.” This prompted the young entrepreneur to join forces with his partner, Tsz, and create a brand that offers affordable and well-made outerwear that’s inspired by the classics, such as aviation, naval and safari jackets. 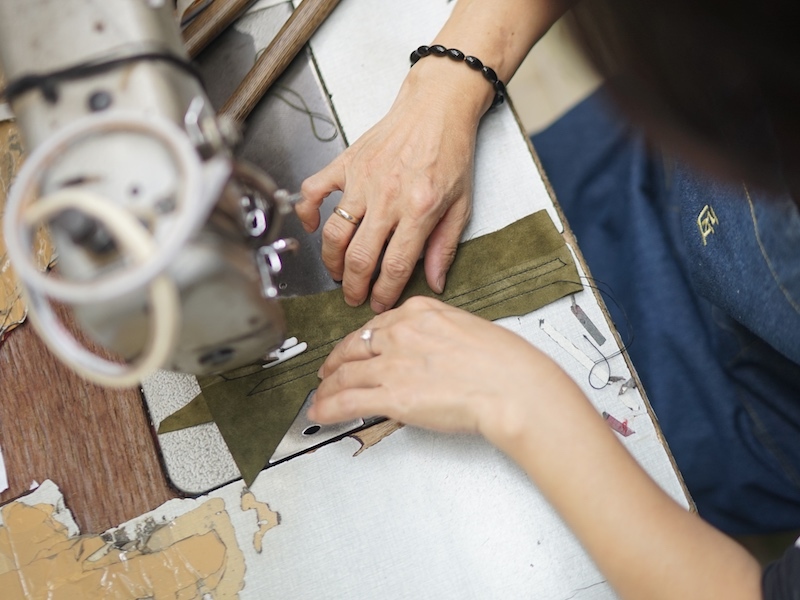 What makes Craftsman Clothing interesting is that it’s based in Hong Kong, which isn’t exactly a renowned haven for sartorial goods. “Hong Kong had a booming garment industry in the 1980s,” Fong tells me. "The important factor that determines a quality garment is less about where it’s made, but the team behind each brand, the craft and the materials used.” Its geographical position, as such, allowed the two “to leverage on the free tariffs and cheaper labour costs compared to most European countries. We were able to keep our costs lower thus providing our end-consumers a good price point for a high-quality garment,” explains Fong. Overall, the brand’s core philosophy has always been accessible luxury, which The Rake certainly adheres to. 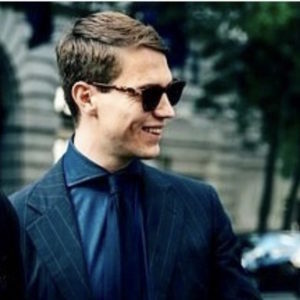 Starting out, Craftsman Clothing originally offered made-to-measure, made-to-order and bespoke, however now, and in partnership with The Rake, it’s created three ready-to-wear jackets which have gone through the same amount of handwork as its premium and custom tiers. “For our off-the-rack collection, we worked very closely with our master cutter and patternmaker to create multiple patterns for the same style to make sure that our jacket’s classic designs resemble the ones from the old days, but we updated them with new fabrics and fit for today’s modern take in the sartorial world,” Fong tells me. In terms of materials used, it’s obvious from the handle of the jackets that the skins are of an extremely high quality. “Hong Kong has a leather expo each season and that was a source for us to gather some candidates to use. We have some beautiful grained lambskins and rugged calf suedes from Spain, butter soft lambskins and lamb suede from Italy and deer suede that’s so soft we call it our ‘cashmere suede’ from Japan.” Each jacket is constructed in a small workshop in Hong Kong that’s filled with craftspeople, many of which have over 30 years experience in creating outerwear. ‘The King of Cool’, aka Steve McQueen, forms the basis for the McQueen A-2 thanks to his part in The Great Escape (1963). “Instead of completely replicating what Steve McQueen wore, we gave up the standard rugged and heavy horsehide and chose a butter soft featherweight Italian lambskin,” Fong explains. The overall fit is slim and complimentary, making it a bit more dressy than a traditional A-2. It’s finished with RiRi hardware, contrasting ribbing, snap-flap pockets. All the parts are assembled by hand using age-old machinery. In equal stature to McQueen is Ernest Hemmingway. Taking inspiration from the great man’s escapades, the Hemingway Safari Jacket is one of Craftsman Clothing’s best-selling models. “He was a fearless adventurer and marksman and we’ve seen this jacket across photos he took during the years he spent on safari in Africa.” It’s cut from navy lamb suede and features four front pockets, with genuine horn buttons, a half belt which can be adjusted to make a tighter fit and an inverted, razor-sharp pleat on the back which aids movement. The front buttons are hidden and cleaned-up by the placket which, overall, creates a refined and streamlined jacket that’s heavily tailored, mainly due to the twin vents at the rear, high armholes and lack of shoulder epaulettes. The most louche model of the three is the Rakish Safari Jacket, which was a joint effort between both teams and took inspiration from the previously mentioned Hemingway jacket. It’s cut from a supple tobacco lamb suede and features a surgical inverted back pleat, four flap pockets which, compared to the Hemingway, are much cleaner and devoid of detail. Thanks to the pockets, it makes for a fine travelling companion, and can easily and safely store the vital documents and passports as you trench towards the business class lounge.